This is going to be the centerpiece at my next art show coming up this November at the Pink Cow. 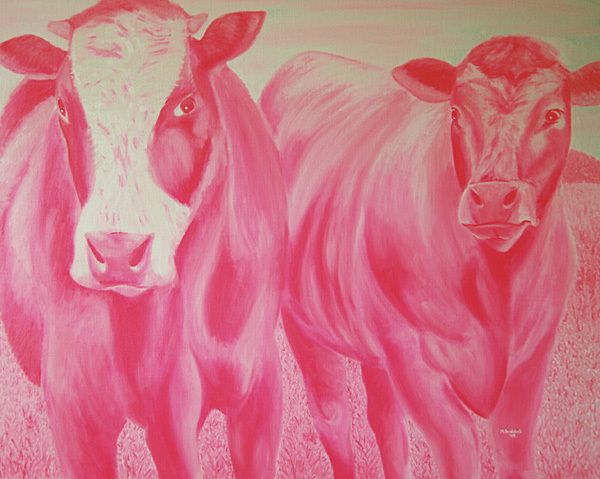 Pink cows at the Pink Cow, get it? Actually the restaurant owner (Traci) jokingly asked me if I was going to be doing any cows this time around (last time I did a bunch of cats) and I thought to myself 'hmmm'.... This is the largest painting I have done so far at just under 1 meter on a side. I wanted to go bigger but at the next size up you start to run into problems, like how to transport such a huge canvas to an art show, and where to store it in your apartment, etc.